We are delighted to announce that the Digital Dialogue (D2) App that CoStrategix created for AAF Cincinnati was named a winner in the 2016 American Web Design competition that recognizes excellence in the power of design to enhance online communications. The highly anticipated showcase award emphasizes web design, interactive design and UX design. 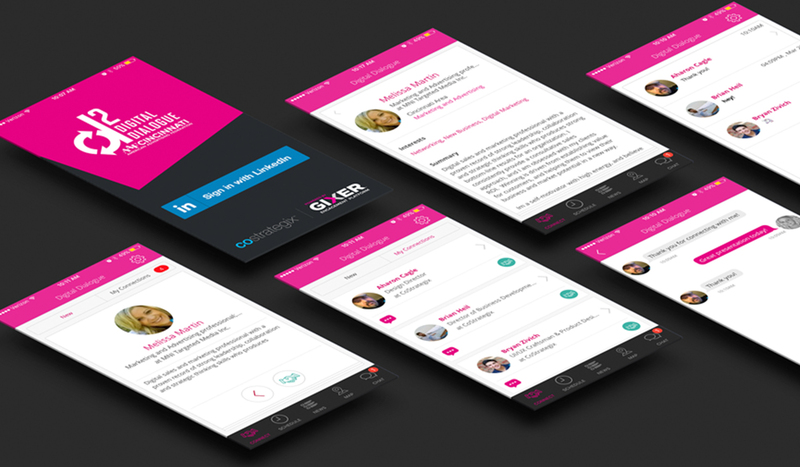 The Digital Dialogue App takes event engagement to a different level with intelligent people connections and content delivery to maximize value for each participant. The app uses a proprietary matching algorithm based on participant interest that matches attendees with like-minded colleagues. The platform also uses gamified connections and in-app chat to increase engagement, and a scheduling tool for attendees to keep their itineraries straight. Basically, the app makes it easier for conference-goers to plan schedules, connect with the right people and increase the return on their conference investment. The D2 app is an example of product platform offerings from CoStrategix that can be customized for special events, conferences and enterprise level applications. Get in touch with us to learn more about the Flipdex app or how CoStrategix can be your partner to create custom solutions.